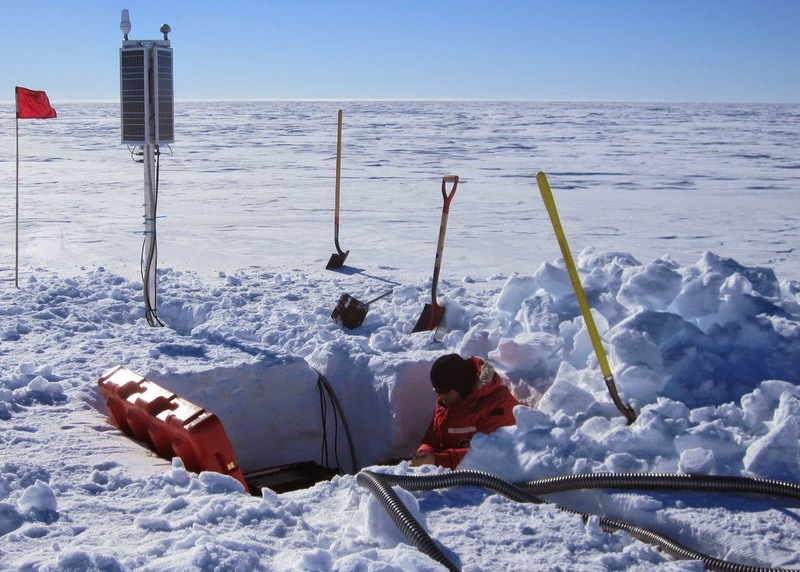 At the very beginning of my Antarctic adventure (when I landed in Christchurch, NZ) I met a group of scientists that were coming to Antarctica to study how the Ross Ice Shelf (RIS) interacts with ocean waves. We stayed at the same hotel in Christchurch and then did much our McMurdo training together. They are a fun bunch of characters and their research is very interesting so I thought I'd share some of it here. I call this group "Team IceVibes" - Peter Bromirski (Uni. California, San Diego; UCSD), Ralph Stephen (Woods Hole Oceanographic Institute; WHOI) and Peter Gerstoft (UCSD) are the lead investigators along with Ron Flick (UCSD). As I mentioned in a prior post, an ice shelf is a floating mass of ice formed when glaciers or ice sheets flow over the coastline. 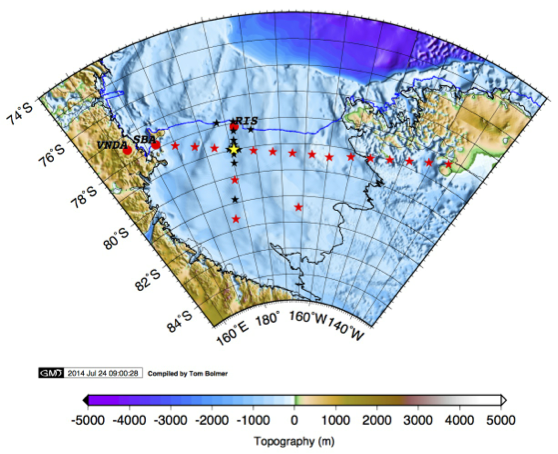 Because it is already floating, if an ice shelf melts or disintegrates it will not contribute to sea level rise (but it's removal could prompt terrestrial ice to flow into the ocean at a faster rate). Sometimes ice shelves collapse in spectacular fashion, but the mechanism for this is not completely understood, hence their study. Team IceVibes are installing seismometers at all the black stars. 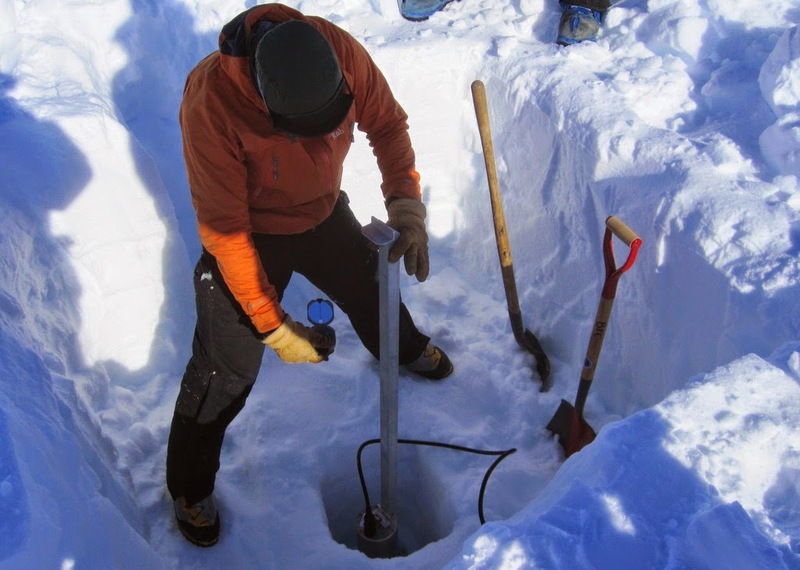 Another team has seismometers at all the red stars - the scientific teams will be pooling all their data so everyone can have a better understanding of what is happening. The RIS is outlined in black and blue lines (with north being towards the top of the image). Team IceVibes staging vast amounts of equipment in the Crary Lab. The team flew out to "Yesterday Camp" and installing instruments at many locations. 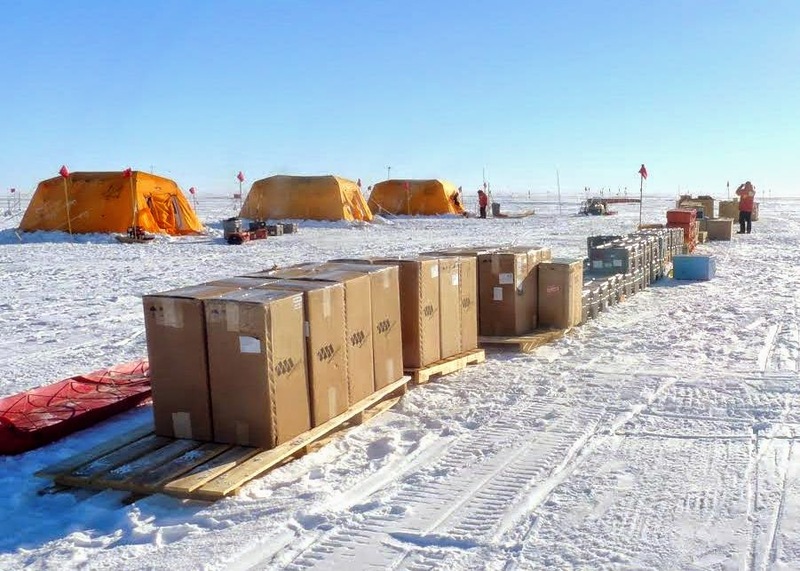 The camp gets its name from being on the other side of the International Date Line compared to McMurdo Station.